Before getting into the specifics of Apple Watch bands, it's worth giving context as to why, for someone with motor impairments, the ability to get a watch on and off by yourself is important. This point is a bit existential, but bear with me. In a word, it's about independence. As a person with disabilities, I am acutely aware of my physical limitations. Thus, I strive to do as much as I can without help; I hate asking for assistance, even when I know I probably should. Yes, there is something to be said for swallowing my pride, but my point is that I want to be able to do things just like everyone else. Fortunately, I do quite well for the most part. Yet, the inability to do for one's self – in this case, fastening an Apple Watch band – is, I think, a significant potential hurdle to enjoying Apple Watch. If I struggle every morning to put it on, that's not good. Apple Watch is decidedly not a pocket watch, after all. And, going back to pride, I don't want to feel reliant on someone else to do something for me that I really should be able to do myself. Apple Watch bands must be accessible, because if we can't get the device on, we surely can't enjoy it or get the most out of it. The Apple Watch I have is the 38mm Sport model with blue Sport band. First, the good parts: blue is my favorite color, and I love the shade of blue on my band; it perfectly matches the blue of my iPhone 6's silicone case. The Sport band not only is handsome but it's well-built too: I'm a big fan of how strong yet flexible it is, and how it feels against my skin. In short, the Sport band is terrific. In my experience, however, that's where the fun stops with the Sport band. On a functional level, putting the band on independently has proven to be maddeningly frustrating. The issue is using my right hand to get the pin into the hole. Despite being left-handed, I prefer to wear watches on my left wrist for reasons of comfort and visibility. What this means is I have to use my right hand, which is weakened due to partial paralysis caused by my cerebral palsy, to fasten the band. Because my right fingers aren't nearly as nimble as my left's, I have major trouble holding down the pin side of the band, while at the same time wrapping the hole side so as to align the two. In trying to combat this problem, I've toyed with various approaches, such as wearing the watch with the digital crown on the left and even wearing the Watch on my right wrist, but nothing has worked. The only positive is that I can tuck the end of the band underneath by myself, although I consider it somewhat of a dark victory. I should also mention that what's frustrated me about the Sport band isn't only pragmatic. My disappointment is exacerbated by the fact that I adore the Sport band in all other respects. In a fashion sense, I want to wear it – as I said earlier, it's beautiful and very comfortable. I want it to be my everyday band. For all my gripes about the Sport band, there is one fact that I've taken solace in: the truth is in the different bands. I fully realize that if the Sport band isn't working for me, I can always find an alternative that is easier for me to get on. For me, the alternative is bands with magnets. Apple sent me a Milanese Loop for review purposes, and I've found it to be the polar opposite of my Sport band in terms of accessibility. 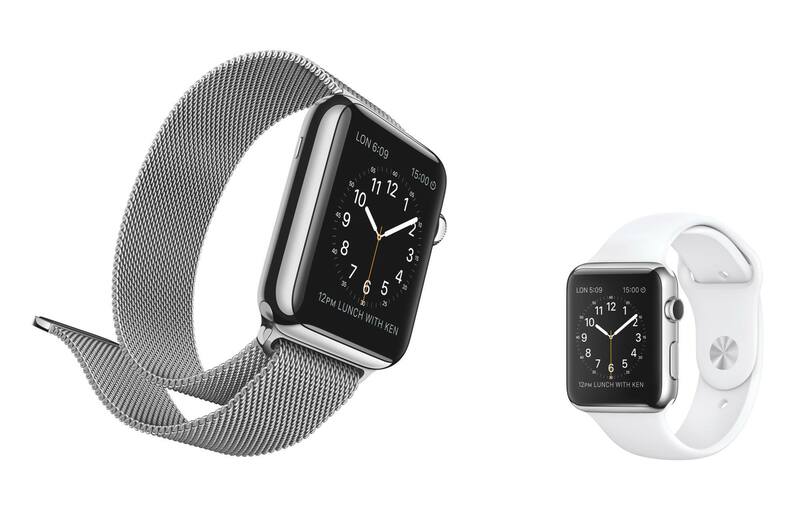 The Milanese Loop is accessible in every way that the Sport band isn't. Because the Milanese Loop is, as Jony Ive describes it, "infinitely adjustable", I can adjust the size of the loop so that my hand easily goes through. Then, once it's on my wrist, I can pull the band to be as tight or as loose as I want. Unlike the Sport band, there's nothing to hold down, nothing to align. All I have to do is pull the band accordingly and let it catch onto itself. Easy. Putting on my Apple Watch with the Milanese Loop for the first time felt like drinking a tall glass of water on a scorching hot day; it was so refreshing. There was no struggle, no frustration, no proliferation of unfit-to-write-here cuss words coming out of my mouth, nothing. Putting it on was a breeze, and most importantly, I could do it on my own. The only bands I've tried thus far have been the Sport band and Milanese Loop. That said, it's my opinion that Apple's magnetic bands are the most accessible for those with fine-motor problems. They're the easiest to get on without fumbling, and they effectively fasten themselves. I highly recommend them, even to those with no dexterity troubles. Apple recently launched a third-party band program for Apple Watch, detailing rules and best practices for creating bands. Third-party bands are intriguing if you think about them in terms of accessibility. What makes third-party bands so interesting is that manufacturers now have an opportunity to create bands with closures that are more inclusive and accessible than Apple's offerings. There's a ton of potential here. It's entirely possible that someone with motor challenges, who wouldn't otherwise buy an Apple Watch because of band inaccessibility, would make a purchase because there's a third-party band that fits their needs. Imagine: someone who also has issues with Apple's Sport band really wants a band that'll keep up with their active lifestyle. Instead of struggling with the Sport band, they find a third-party sports band that uses, say, Velcro as a fastener. An argument could be made against Velcro's overall inelegance, but the bottom line is this hypothetical person has found a relatively attractive, easy to put on band. Ergo, the Apple Watch is an accessible device and Apple just made $350 in profit. There are other examples, but the picture I paint here is a very real possibility for someone with special needs. It'll be interesting to see what companies come up with in this space. There's a lot of room for innovation that could potentially help a lot of people who are under similar circumstances to mine. As I wrote in that iMore piece from last July, hardware as accessibility is a concept that I think often gets overlooked when judging a device. With Apple Watch, while the majority of the attention naturally focuses on software, the hardware deserves consideration as well. To many in the accessibility community, myself included, the "whole stack" matters – of course Watch OS must be accessible, but so too must the bands so that we can get the Watch onto our wrists. Still, I know Apple Watch is a 1.0 product, in software and in hardware. Apple will surely improve both aspects of the device over time, and I'm excited to see what new bands come in the future.